Jabberwock Poem. Just something I made with photoshop. I l’amour the poem :). 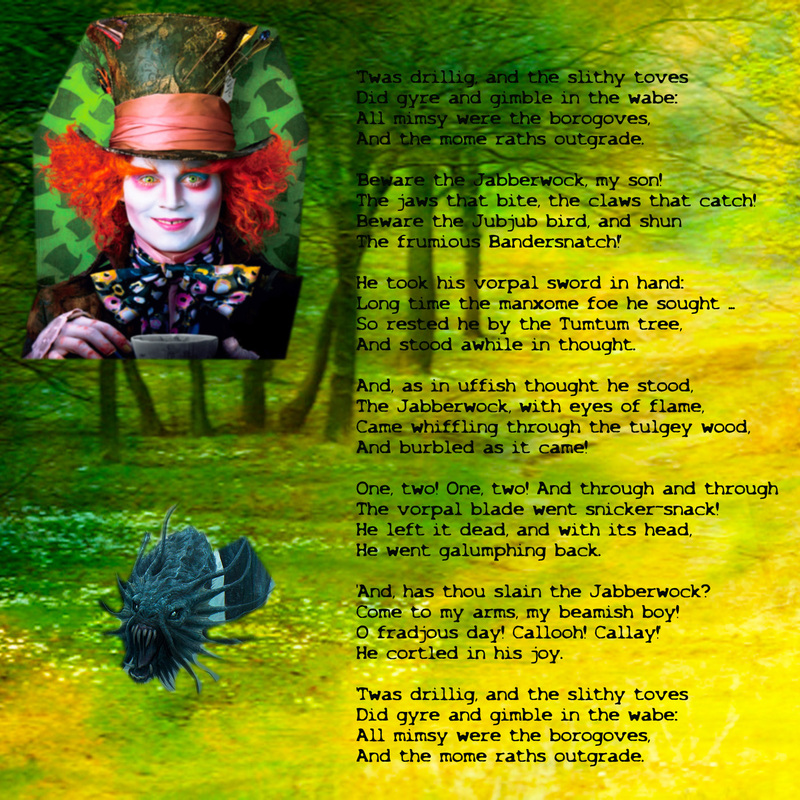 HD Wallpaper and background images in the Alice au Pays des Merveilles (2010) club tagged: jabberwocky hatter alice in wonderland poem movie 2010. This Alice au Pays des Merveilles (2010) fan art might contain signe, affiche, texte, tableau noir, tableau, and affiches. i like it! :) awesome!